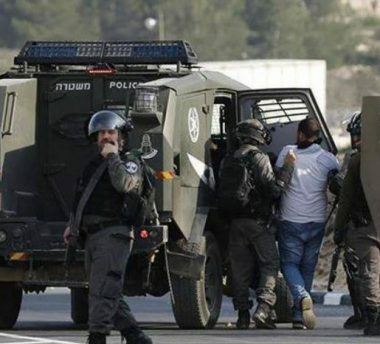 Israeli soldiers abducted, on Thursday evening, a Palestinian man, from his work near Jericho, in the occupied West Bank. The abducted Palestinian has been identified as Nour Ezzeddin Shehada, from Ajjah town, southwest of Jenin, in the northern part of the West Bank. He was abducted when the soldiers broke into a quarry where he worked, near Jericho, before the soldiers took him to an unknown destination.